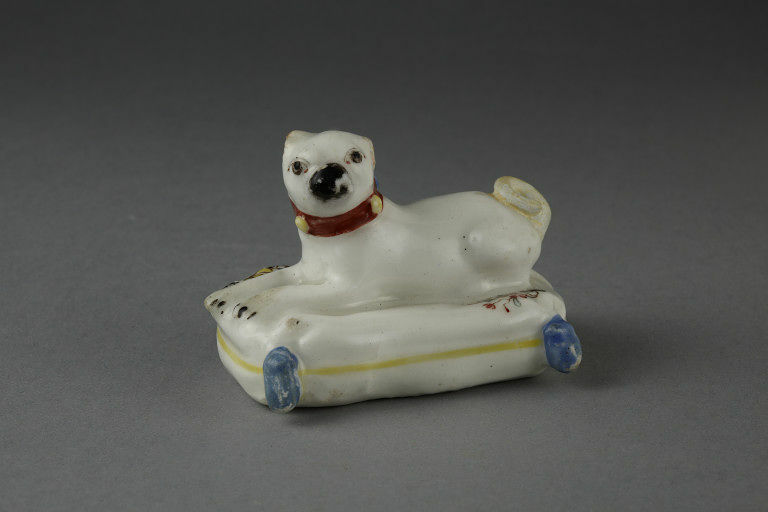 Figure of a pug in soft-paste porcelain painted with enamels. The dog reclines facing left on a blue-tasselled cushion. 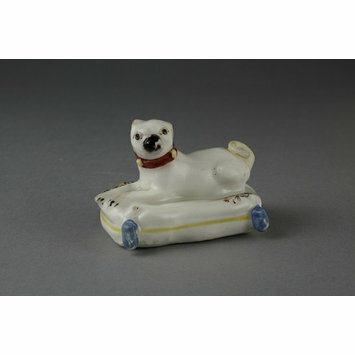 Figure of a pug in soft-paste porcelain painted with enamels, Bow Porcelain Factory, Bow, ca. 1755.